Wishing you a Christmas filled with peace and joy. Wishing you a very blessed Christmas too! So good to hear from you!!! Have a very Merry Christmas and New Year! Merry Christmas to you and yours, Bonnie. Merry Christmas to you and your family, Bonnie! Merry Christmas! Have a safe and happy holiday! Hoping you had a wonderful, wonderful Christmas! Merry Christmas & a Happy New Year Bonnie!! 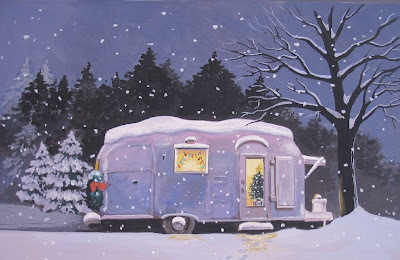 Love the picture - our dad has an airstream polishing business - too cute! I can't remember how I found your blog, either through a friends blog or a group. Hope you had a nice Christmas and wishing you a Happy New Year!